As this is a woodland site we recommend all participants come prepared for the unpredictable Scottish weather – we will play in all weather! It can be cold, it can be warm, wet, dry etc all within 1 hour – it’s Scotland! Sturdy footwear suitable for walking in woodland is recommended. We do not have an any refreshment / vending facilities on site as it is in woodland, participants are recommended to bring refreshments / snacks etc as required. Picnic tables are available within the site and can be used by groups, although you are welcome to bring snacks etc please be aware we do not have running water so would recommend hand sanitising gels / towels to allow cleaning of hands prior to eating. 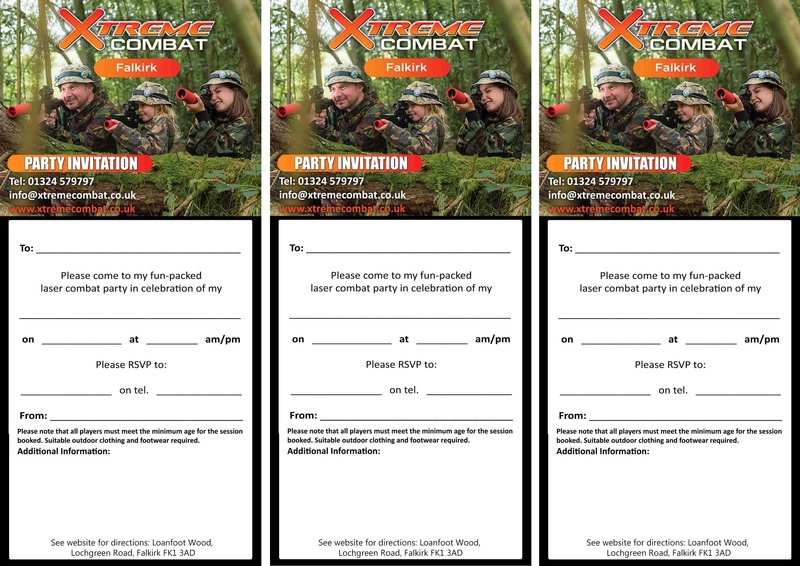 Xtreme Combat accepts no responsibility for food brought on site, we would ask that groups are respectful to the woodland setting / tidy up after themselves and ensure all rubbish is binned to prevent vermin. If groups do not respect this we will ask they leave the site. We will have to lock up the site approx 30 mins after completion of the last game so would ask that groups are mindful of timings. The access road is bumpy, you are accessing a woodland site, please drive slowly and respectfully. We have portable toilets on site that are serviced weekly. We do not have the facility to take any payments on site, any balances for events must be paid at least 48 hours in advance. For customers wishing to play at short notice in open sessions they must book online beforehand.